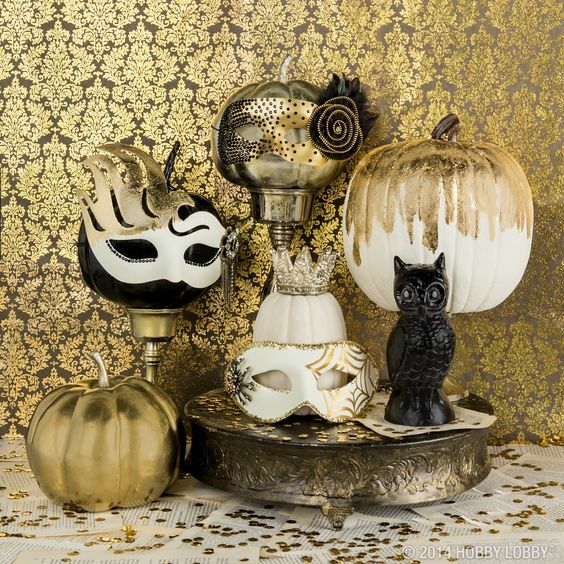 Wanna add a glam touch to your Halloween party? 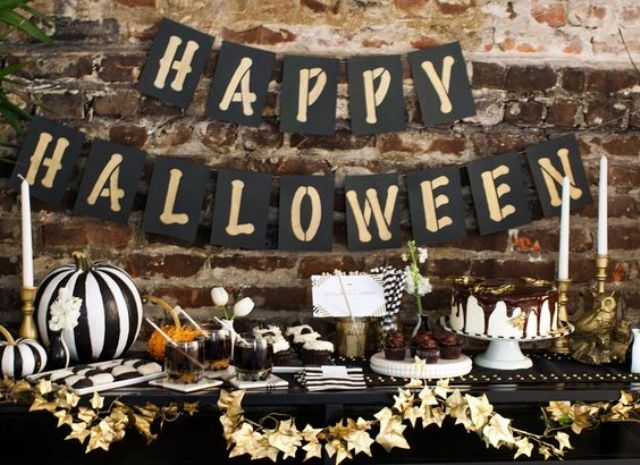 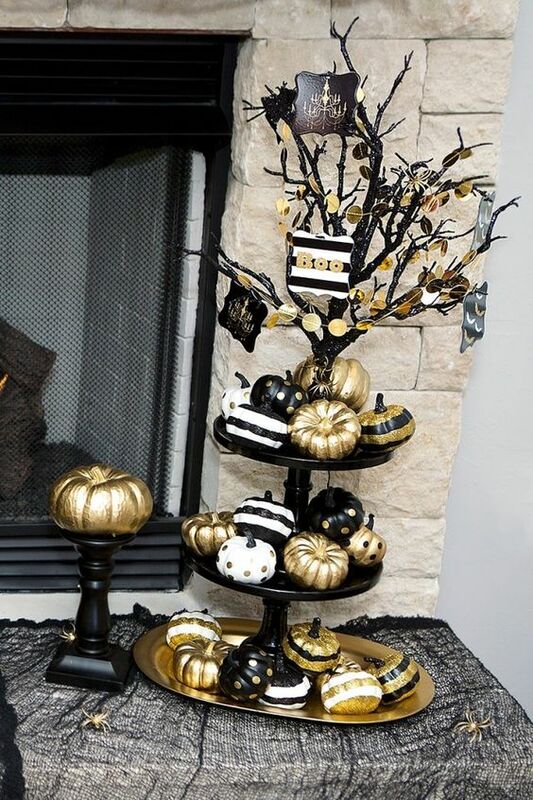 Go for black and gold Halloween decor and food! 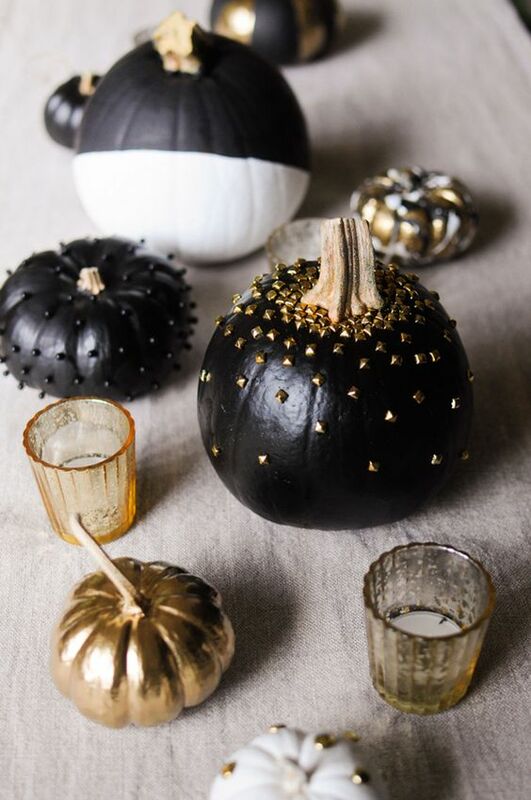 This classic, timeless color combo is non-traditional for this holiday but it guarantees a cool and glam look and an elegant feel. 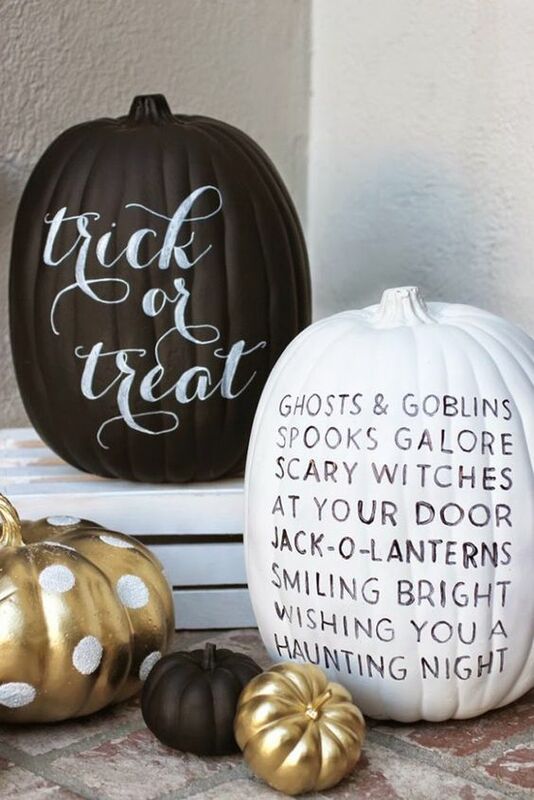 Let’s have a look at some examples. 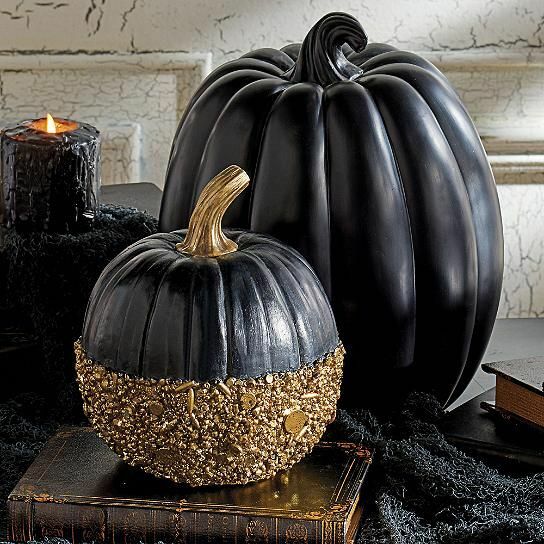 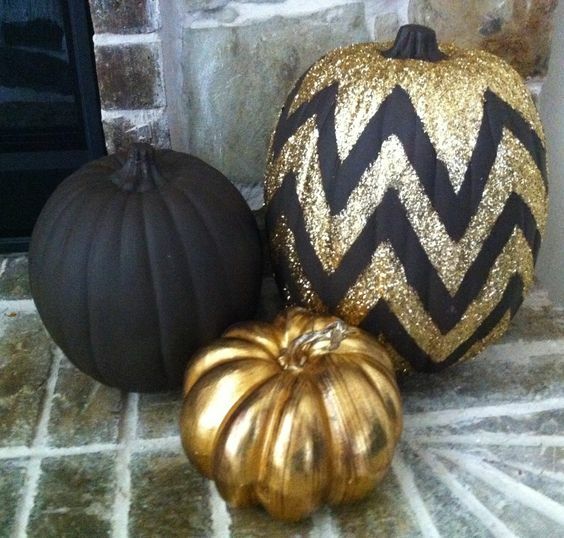 Pumpkins are symbolic for Halloween decor, and you can make them gold and black to add a chic glam touch. 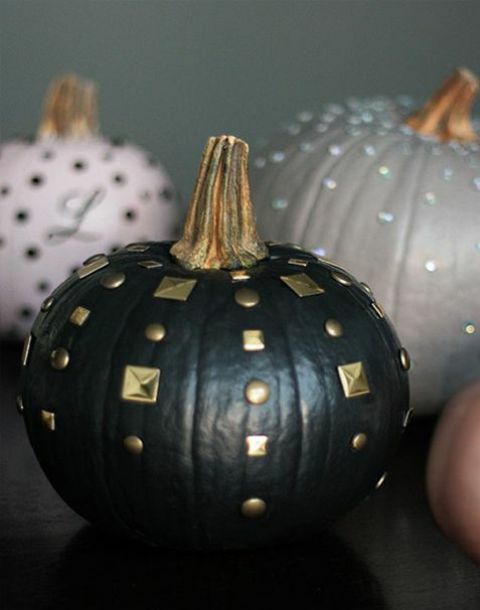 Decorate them with beads, rhinestones, glitter and studs to make them bold and sparkling. 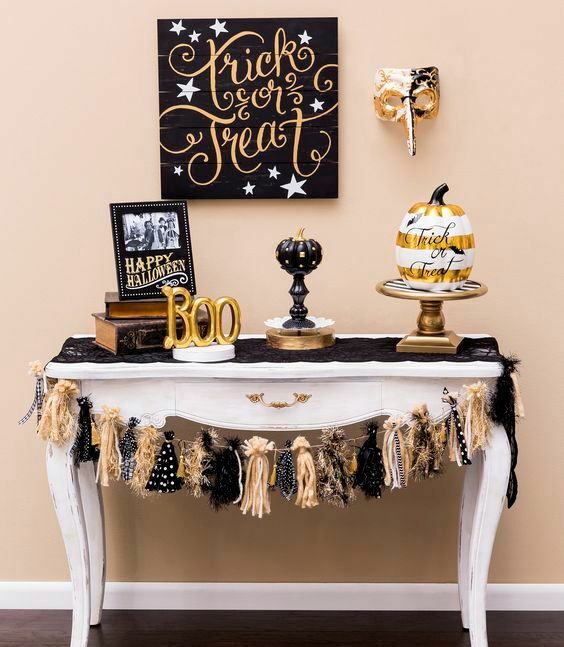 Create various combos with different prints and decorate your table, dessert table, entry and just the whole home with them – place these cuties everywhere you want. 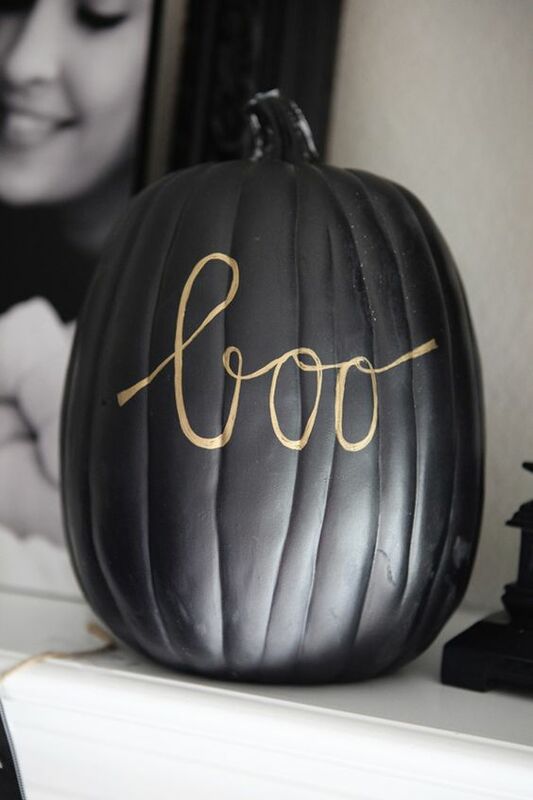 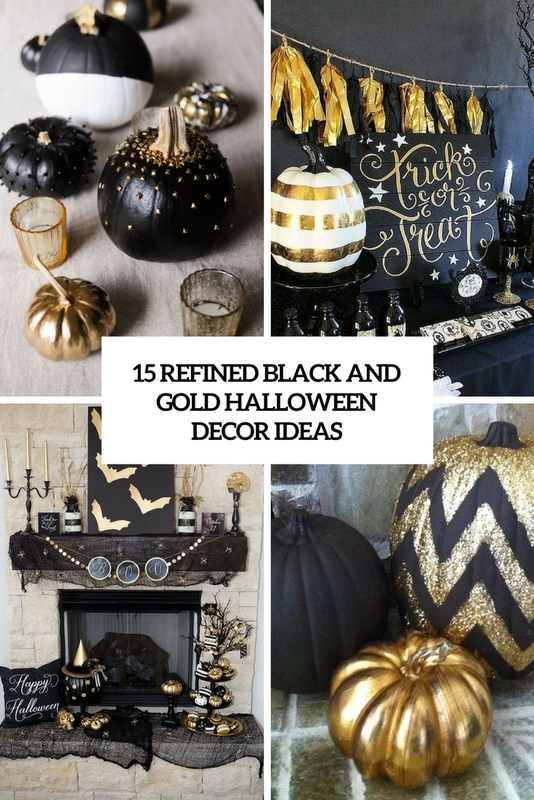 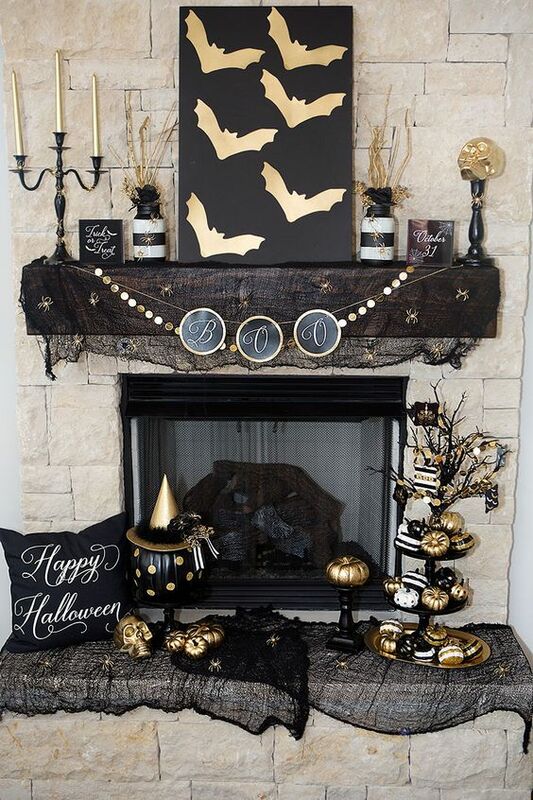 Use chic black and gold decorations: black and gold fabric or leaf garlands, create black and gold bat signs, use black cheesecloth to cover the furniture and make cool black and gold pumpkins with masks for a refined feel. 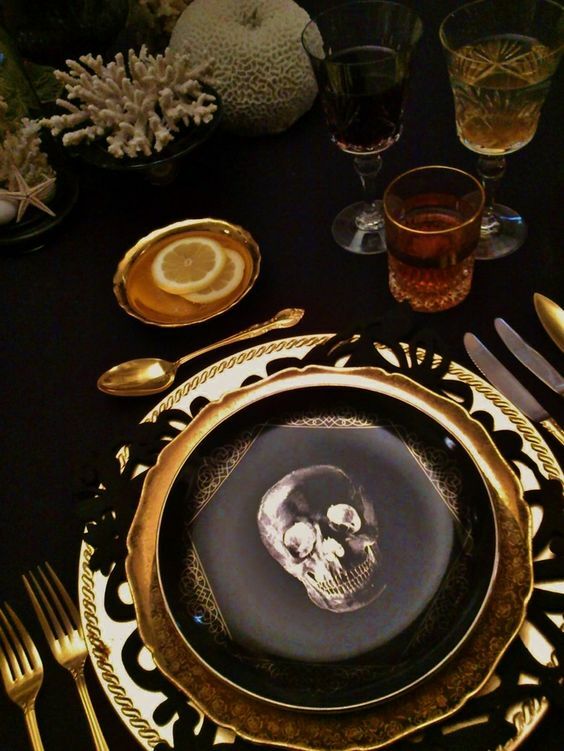 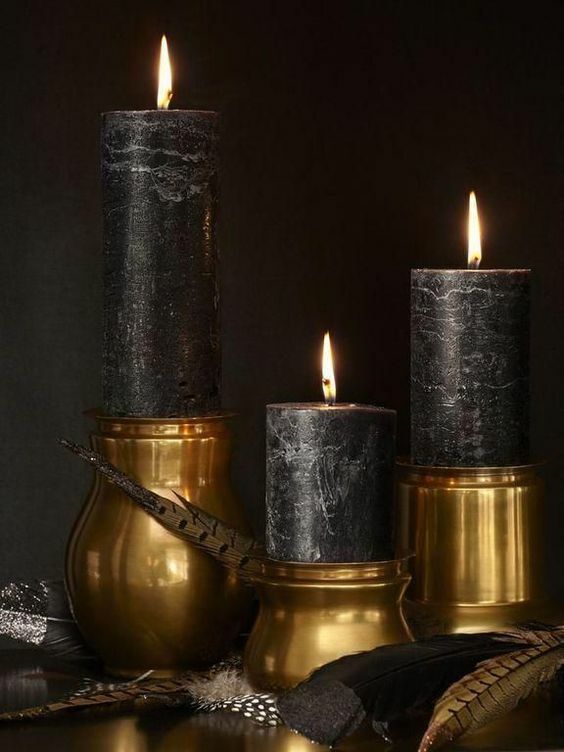 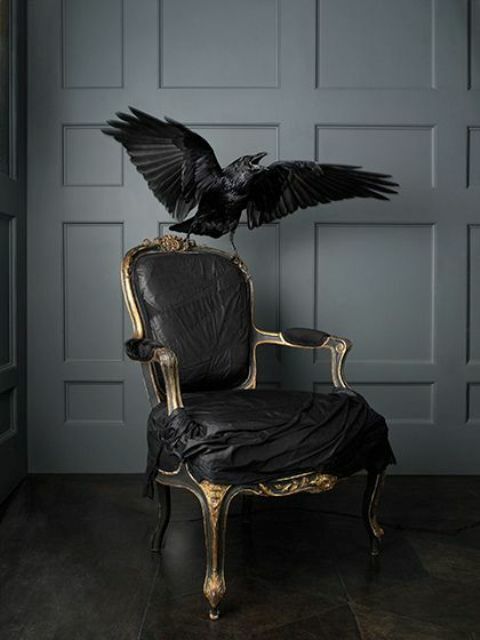 Use black candles in gold candle holders, skull printed plates and mugs and exquisite cutlery. 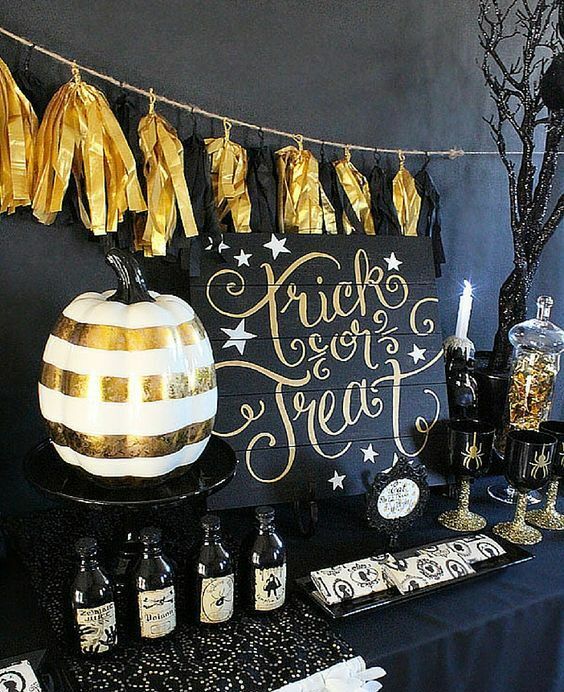 Serve black and gold Halloween desserts – creepy cake pops, cupcakes, cakes and jello shots.